We are delighted to announce that ASHG has a new online Advocacy Center! Developed with members’ needs in mind and the Society’s desire to become more involved in policy and advocacy, the site provides tools and channels for members to learn more and share their views directly with legislators. The Advocacy Center makes it easy for members to take action by sending customizable messages to Congress on important science policy issues. Members and others can also stay current with press releases and news clips related to ASHG advocacy activities, read recent letters and comments to policymakers, explore blog posts related to policy and advocacy, and check out helpful tools and resources. 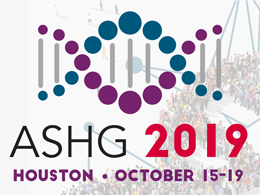 ASHG advocates for policies consistent with its policy platform that support scientific discovery, the translation of scientific discoveries into health advances, and the appropriate application of genetics within society. We further support policies that advance the understanding of genetics by healthcare professionals and the public. To reach these goals, we need your help! Visit our Advocacy Center to connect with Capitol Hill and get your voice heard on a number of significant issues, including supporting NIH funding and opposing genetic discrimination!